Dan Dorsey is a partner in the firm’s Covington office. He was born and raised in New Orleans and received a degree in political science from Louisiana State University in 1984. He joined the firm’s New Orleans office as a law clerk in 1985 and became an associate in 1987 after graduating from Loyola University School of Law. His practice involves the representation of insurance clients in automobile, premises liability, products liability, homeowners, toxic torts, bad faith, coverage, general liability and first party disputes. He has extensive bench and jury trial experience in Louisiana state and federal courts, and has argued in the Louisiana First, Fourth and Fifth Circuit Courts of Appeal, as well as in the Louisiana Supreme Court. Additionally, he has successfully mediated hundreds of cases. 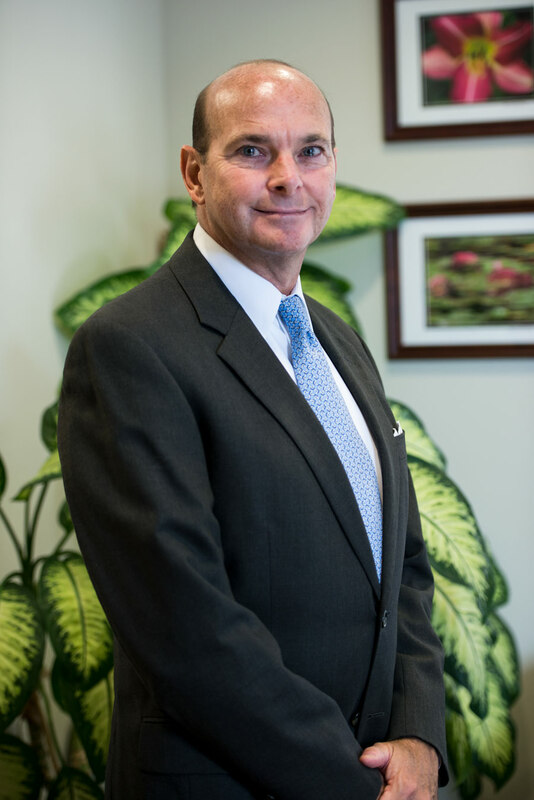 Mr. Dorsey is a member of the Greater Covington and Louisiana State Bar Associations, the 22nd Judicial District Inn of Court, the Defense Research Institute, and the Louisiana Association of Defense Counsel, where he is currently on the Board of Directors. He has served on the Advisory Board for Saint Joseph Abbey Seminary and College. Dan and his wife Elinor are the parents of three children, Spencer, Ellie and Ridgely.